The experts say that you should aim to walk at least 10,000 steps per day. That’s why activity trackers have become so popular – it’s a convenient way for people to understand how many steps they are taking from day to day. But how much walking are you actually doing in a day? If you have trouble getting in enough exercise each day, then it might be helpful to consider walking to work. The many benefits that this daily aerobic activity will also reduce stress, promote weight loss, and increase cardiovascular fitness. It also lowers blood pressure, prevents osteoporosis, and increases good muscle tone and strength. The physical benefits you get from walking are excellent for your overall health – this cannot be stressed enough by doctors and fitness professionals. Being trapped in an office for up to nine hours a day isn’t doing your body any favors. So that’s why a walk to and from your job is so vital for better health. 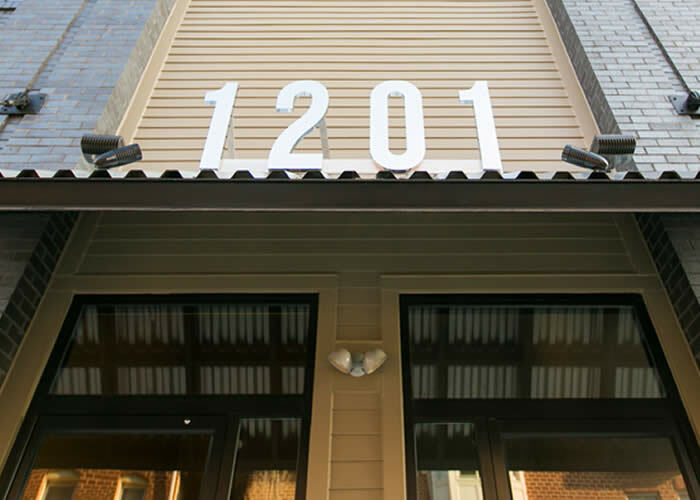 If you work in the downtown Baltimore area, then you are going to love being able to walk from your new home, the 1201 S. Charles Place luxury apartments, to your office. It’s right in the heart of one of the oldest and best neighborhoods in the Baltimore area, Federal Hill. Not only is it close to your work, but it’s also steps away from a variety of unique shops and upscale dining options. Wouldn’t it be nice to be able to walk to a hip brunch location each Sunday morning? You will be the envy of all your friends with just how easily accessible your new home is to just about everything cool to do in Baltimore. Losing a few pounds with all the city walking you’ll be able to do is just a happy side effect. Daily walking does significantly help you shed some extra weight. Many people love this part of a walking lifestyle. 1201 S. Charles is much more than just a home; it’s a lifestyle makeover. Don’t forget as well that the psychological benefits of a healthy walking lifestyle lead to being more content and happy. Going on a daily walk will lead to being able to have a more centered wellbeing, because walking is truly good for the mind and body. It’s a way to clear out the daily cobwebs while you focus on one foot in front of the other, and taking good cleansing breaths. One last benefit to think abut is that by not taking a car or public transportation to work, you save money on gas and transportation fees. Using your feet is free, which is always a good thing. Take the extra money you’ll save by walking and treat yourself to that high end mega fashionable Tom Ford Tote you have had your eye on, or a killer pair of Christian Louboutin heels. Just make sure you wear your tennis shoes on your walk, and change into your stylish new shoes when you get to work!